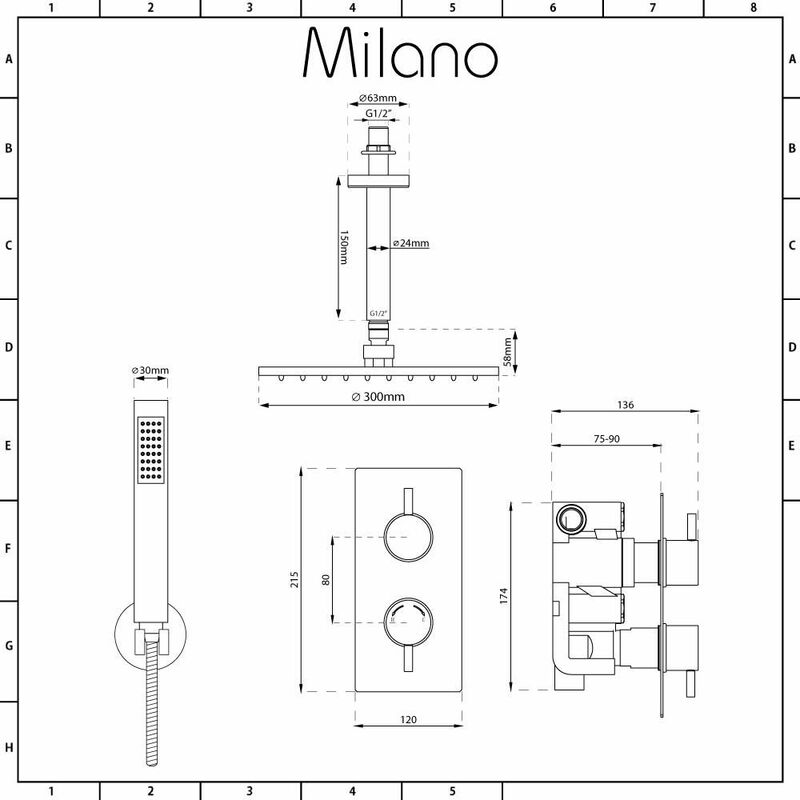 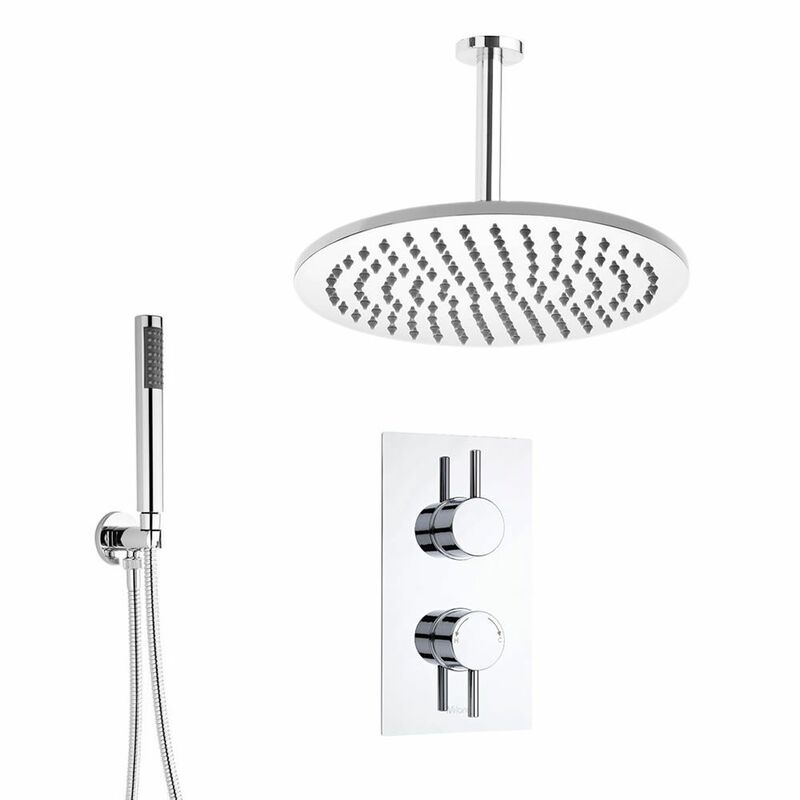 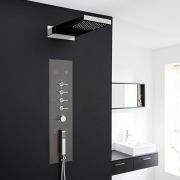 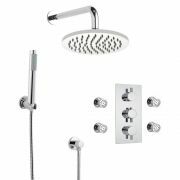 Add a designer touch to your bathroom with the Milano Como thermostatic shower valve, 300mm round ceiling mounted shower head and shower handset kit. 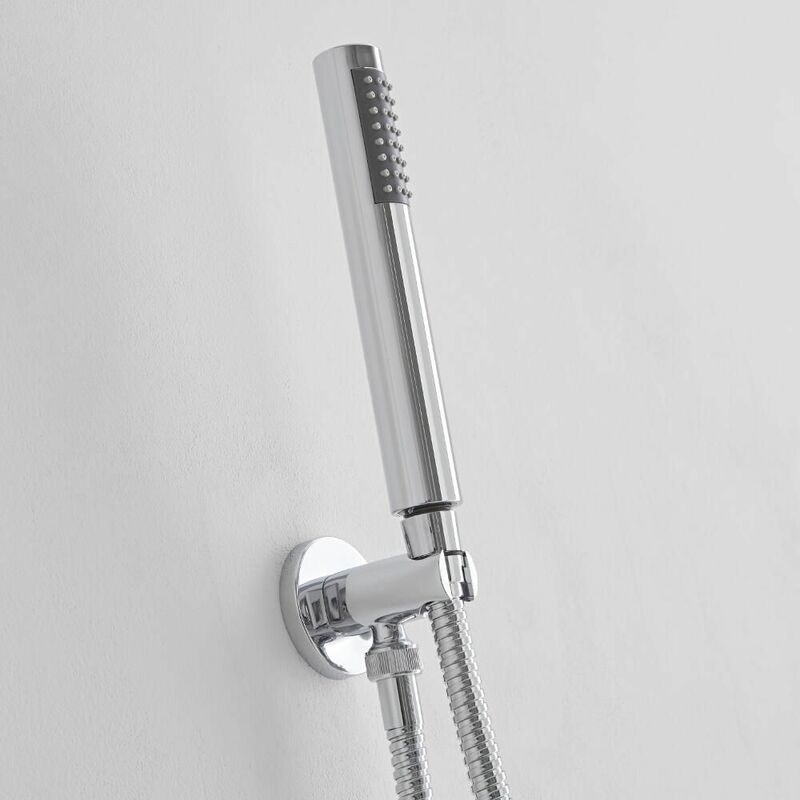 Compatible with all systems, the thermostatic shower valve incorporates anti-scald technology to ensure a safer showering experience. 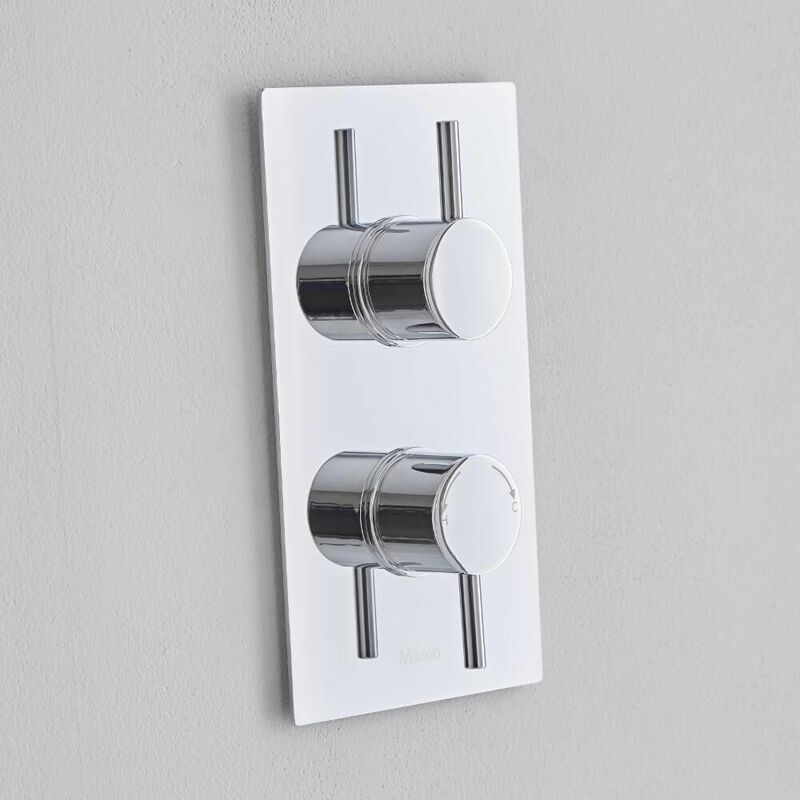 It has a solid brass construction and a brilliant chrome finish that blends in easily with any decor. 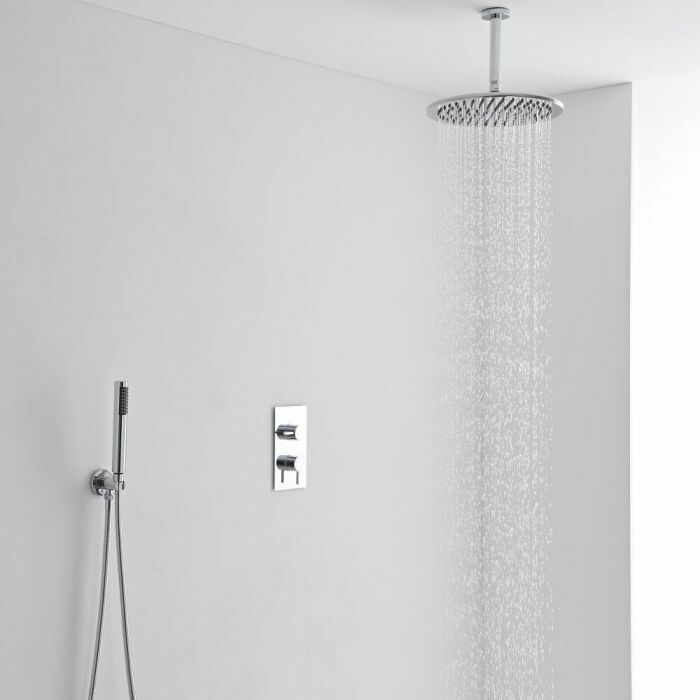 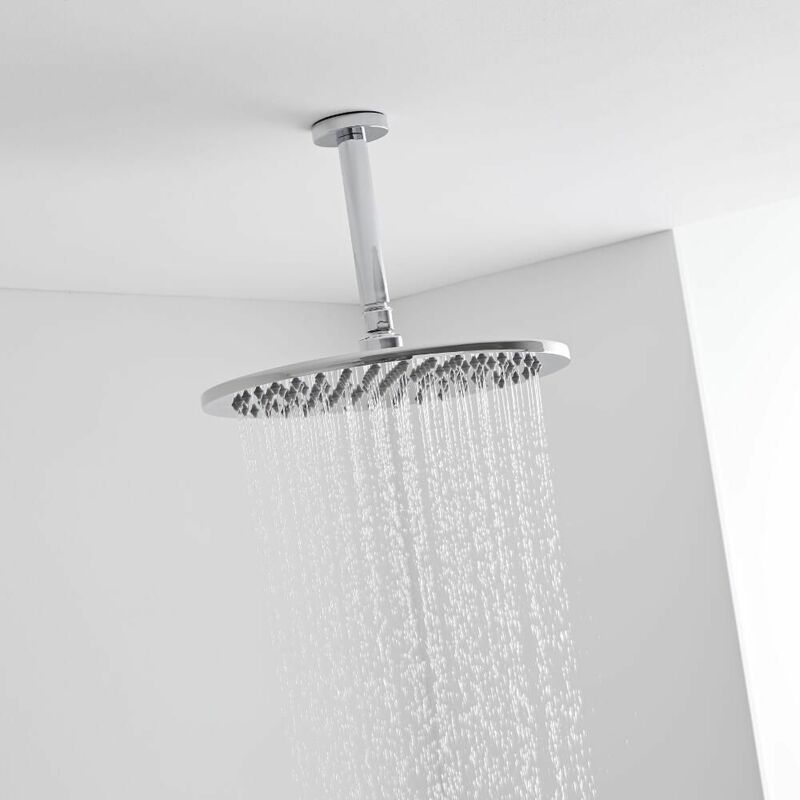 Supplied with the solid brass ceiling mounted arm, the shower head delivers a rainfall effect that will leave you feeling awake and refreshed. 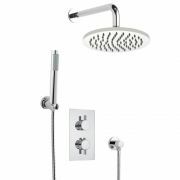 The handset allows you to rinse and clean around your shower enclosure with ease.